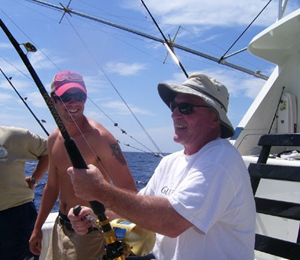 Our friendly staff is dedicated to making sure all your important questions about our Key West Fishing Charters are answered. 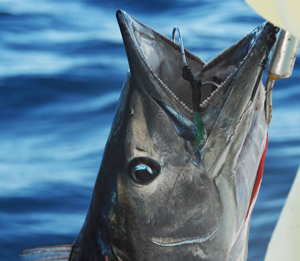 We've provided answers to common questions many of our anglers have. Remember, an informed angler is a happy angler, so be sure to look over each one. No. We have a license that covers all while fishing on our boats. 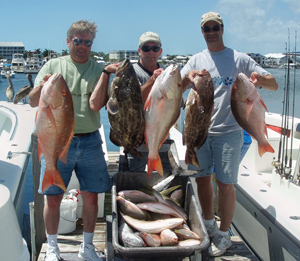 From novice to expert, we cater to any level of experience and will provide the perfect fishing charter for you. Flats boats can accommodate up to 2 people. Light tackle boats can accommodate up to 6 people. Offshore boats can accommodate up to 6 people. Yes. Mild beverages (i.e. Beer, Wine, Wine Coolers, Ciders, Hard Lemonade) are allowed.NO GLASS BEVERAGES! All beverages must come in either cans or plastic containers. Yes. We provide the latest and best tackle on the market today. All line is changed on a regular basis. However you are welcome to bring your favorite rod and reel if you like. What kind of clothing should you bring? I recommend you cover up as much as the weather will allow. Avoid the sun as much as possible. A light weight jacket for the winter may be needed. Always bring a cap, sunblock, and don't froget a camera. Any closed toe, non black soles will be fine. 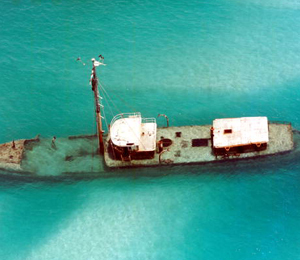 The trip may be cancelled by mutual consent on the day of the charter at the dock. Can I have a replica mount made of my fish? Yes. We are agents for Gray Taxidermy and we have all the paper work necessory for you to have your trophy sent home, to brag about forever. If you had a great trip and are happy with the service provided, 15-20% of the trip cost is apprecatied.